Bramah NS narrow door deadlock. Massively strong and durable mechanism. Lock depth 43mm, keyway backset 22mm. Can be installed to timber or metal doors. Satin Chrome Plate finish as standard. Other finishes available. Separate locking plate is required when installing in timber doors. Optional when fitting in metal doors & frame. No keys included – order quantities of keys required. Supplied keyed to differ or keyed alike at no extra cost. Please contact us for Master Keyed locks. 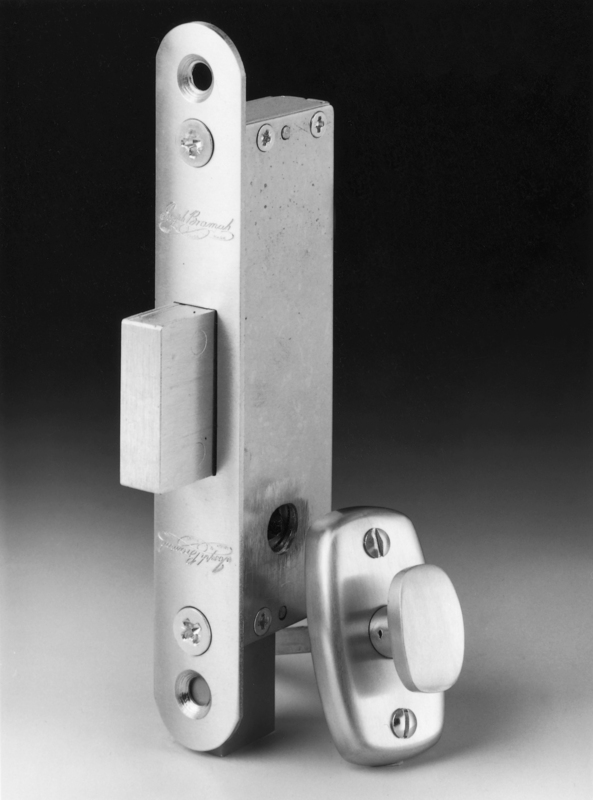 Where multiple Bramah locks are ordered at the same time they will be supplied as a keyed alike group unless specifically requested otherwise. Special order product – extended lead times may apply. See PDF below for dimension drawing of the product.